At Tellurian and PGAP, safety is a core value. Our goal is to provide the safe and reliable transportation of natural gas for our customers. As currently planned, PGAP will be an interstate natural gas pipeline that will be regulated by the Federal Energy Regulatory Commission (FERC) and Pipeline Hazardous Materials Safety Administration (PHMSA). Overall, PGAP will meet or exceed state and federal safety requirements and at a minimum will be designed in accordance with PHMSA’s 49 CFR Part 192 design and operating requirements. PGAP will incorporate all the most current federal standards into the design and operations of the pipeline, and in many instances, these standards will be exceeded to ensure a safe and reliable pipeline. For example, PGAP will employ the following criteria, some of which are above and beyond the current Federal regulations. The pipeline will be covered by a minimum of 36 inches of soil or greater if it crosses under roads, rivers, lakes or streams. All Mainline Valves will have automated actuators that enable the valves to be remotely and quickly closed to isolate pipeline segments. Although the Federal code requires 12-inches of separation between pipes, PGAP will provide a minimum clearance of 24 inches between any third party or foreign pipelines crossed to enhance the safety and reduce interaction between the pipelines to maintain structural integrity. PGAP will use 14 to 16 mils Fusion Bonded Epoxy (FBE) to externally coat the pipe for trenched/excavated segments of the pipeline. PGAP will coat the pipe with 14 to 16 mils of FBE and 40 mils of Abrasion Resistant Overlay Coating (ARO) at all crossing utilizing a trenchless technology such as bore/horizontal directional drilling to prevent pipe damage during the installation. Gas control will monitor the pipeline 24 hours a day/7 days a week and will be able to remotely and locally control the pipeline. PGAP will exceed the integrity testing requirements by testing the pipe to higher pressures or a minimum of 90% Specified Minimum Yield Strength based on class design: 1.25 X MAOP in Class 1, 1.5 X MAOP in Class 2, 1.8 X MAOP in Class 3. Additionally, all pipe mills supplying pipe will be inspected for their quality assurance and quality testing programs prior to being allowed to bid as a supplier for the project. During pipe manufacturing, inspectors will be present in each pipe mill while the pipe is being produced, handled, stored and loaded for shipping. Additionally, inspection will be present throughout construction, installation and placing the pipeline in-service. 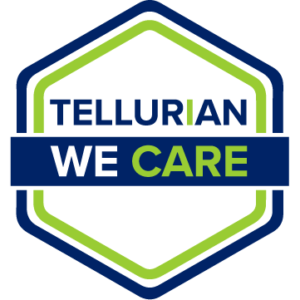 Tellurian is committed to supplying energy to the global market with a priority on decreasing urban pollution, reducing worldwide carbon emissions and slowing the pace of climate change. Tellurian is developing natural gas infrastructure efficiently and responsibly, providing consumers with a more reliable, cleaner energy supply and enabling advances in renewable energy alternatives.